We knew little about Albania and her neighbors. In particular, we were happily unaware of the utter lack of driving skills among the locals. 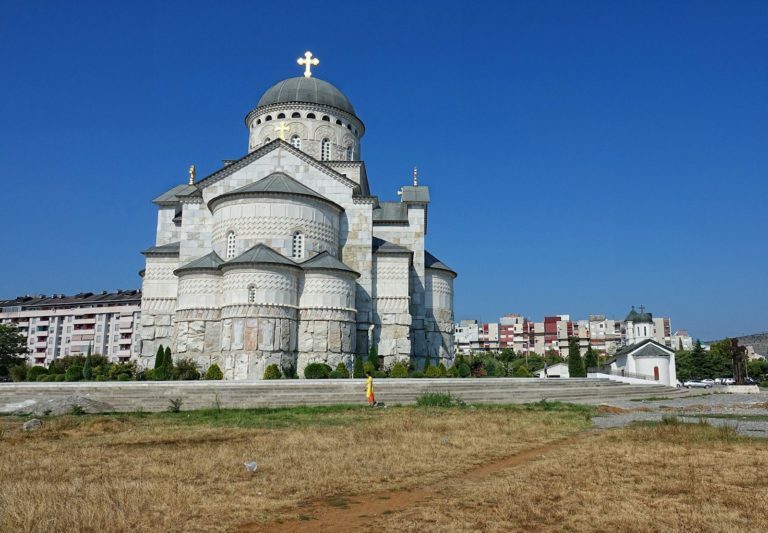 So my wife and I naïvely rented a car in Tirana to visit the countries around Albania. Before you attempt something similar, I suggest reading the following closely. 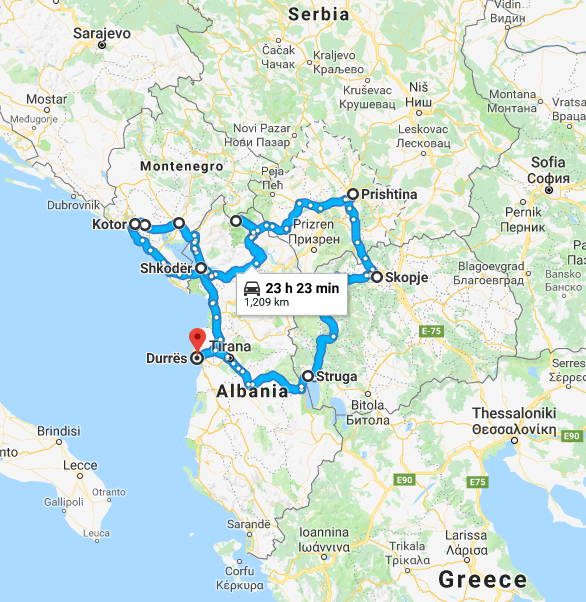 We barely have begun before we learn our first lesson: Google Maps have no idea how long it takes to drive from A to B in the Balkans. They’re perfectly capable of picking a random route that will get you there, but there’s no way for them to predict how much of your journey will be spent at a standstill while waiting for an ambulance to arrive and the road to be cleared for traffic. Always assume it will take at least twice as long as planned. Or maybe make that thrice. It’s just ridiculous, in a sad way, how many accidents we come across. None of them involve us, fortunately. Still, we are happy that we’re renting an old wreck, where every surface is pre-scratched or pre-dented. We ignore all the warning lights on the dashboard. The rental company claims that the car is in perfect order, except for the warning lights, and we choose to go along with that. I’ve seen worse. Anyway, we drive and we wait and we drive and we wait. Eventually we make it to Shkodër, where we eat at a strange restaurant that keeps bears and a lynx in a cage right next to the tables. It’s not unusual for road-side eateries in this region to use large and miserable animals in tiny cages to attract customers. This is one part of the world where McDonald’s actually could improve the situation, by a lot. From Shkodër we cross into Montenegro. If there’s not already a Bar Barbar Bar somewhere in this city, someone ought to open one. 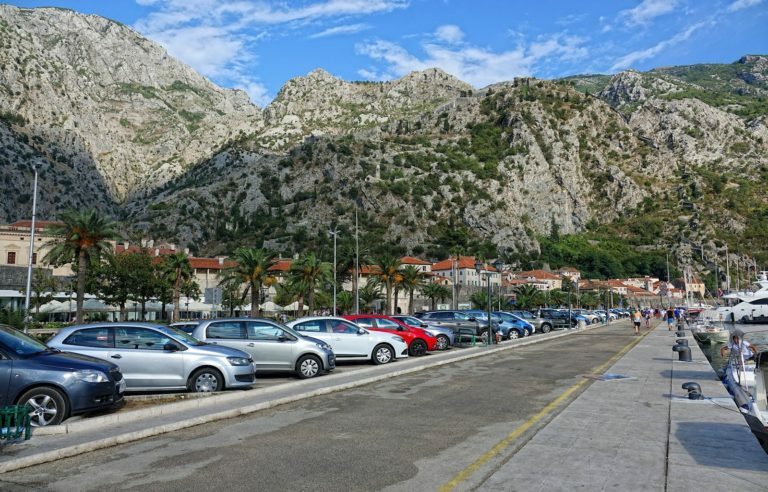 We make a few brief stops at various monasteries and viewpoints, but it’s not until we reach Kotor that we feel the urge to leave the car for a while. Looking up from the port, this place looks stunning. The city walls blend perfectly into the landscape, and there’s a friendly atmosphere to enjoy. It’s time to explore. Our timing is good. 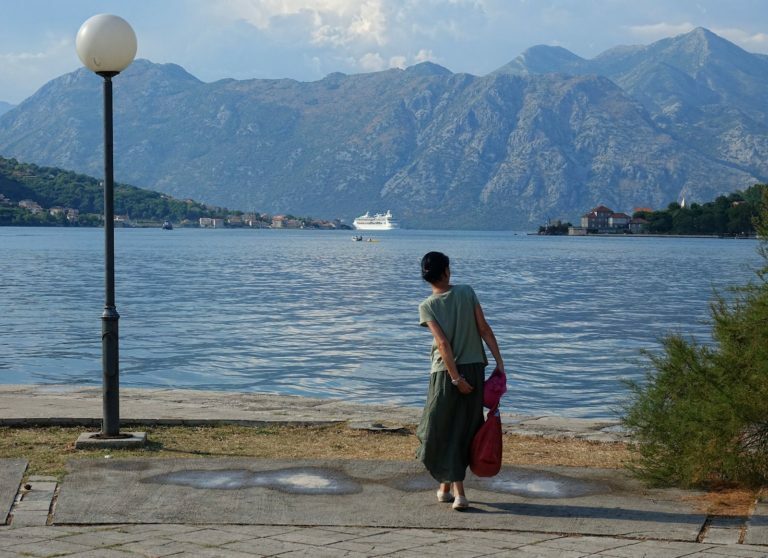 The cruise ships have just left for the day, we can still see them sail out the fjord-like Bay of Kotor. The old town is compact, so not having to share the narrow streets with a few thousand spherical buffet hoarders makes a huge difference. 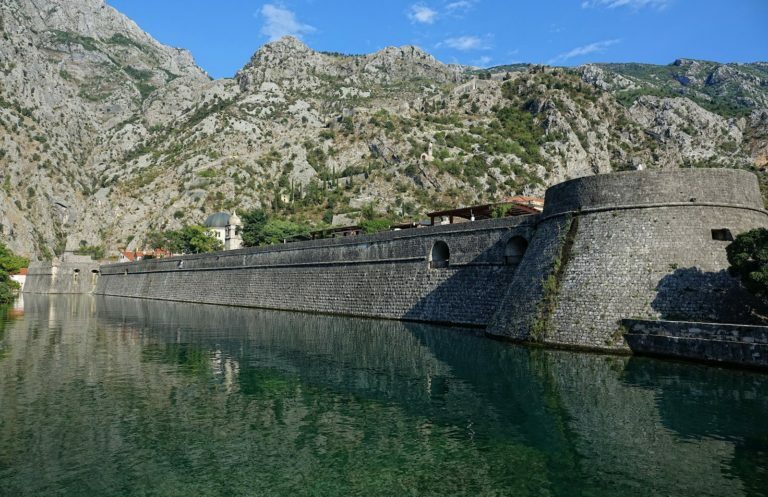 The most impressive sections of the medieval wall were built when Kotor was under Venetian rule, many centuries ago. This is first class World Heritage. 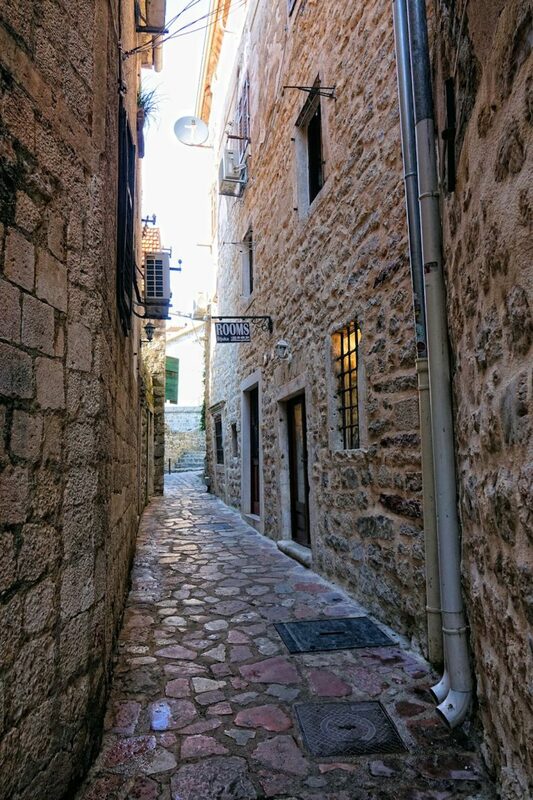 Beyond the walls, the old town is packed with pretty stone buildings separated by narrow alleys. When it’s not too crowded here, a random amble in whichever direction seems more interesting is quite the experience. Or even better, rent a room here, and live like a medieval Venetian for a day. You will pay modern day prices for the privilege, obviously. 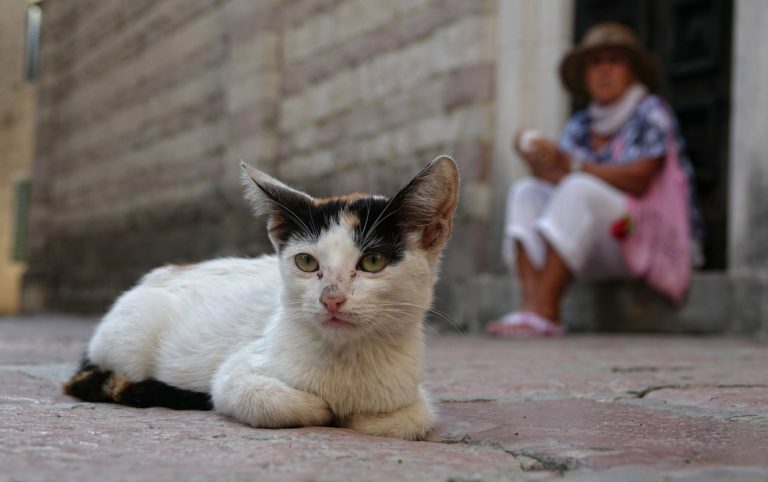 Kotor is famous for its cats, who are well taken care of by the locals. The felines are literally everywhere, including sleeping on the shelves in the shops. This is cat lady heaven. 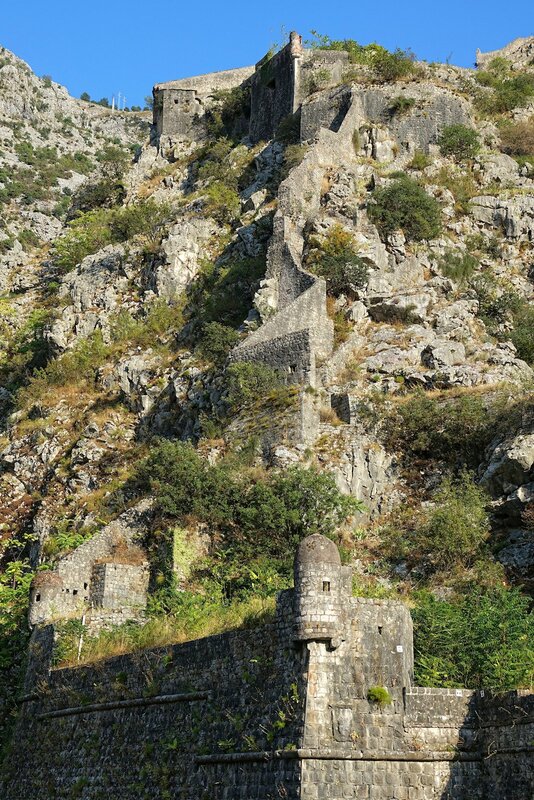 The architects behind Kotor’s city walls really took advantage of the hostile terrain surrounding the town. No angle allows easy access for invaders. 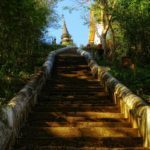 Tourists with deep pockets, however, are more than welcome to enter. I love imagining how this ladder ended up in the water. My money is on Doofus Khan, who most definitely didn’t succeed in invading Kotor in 1273. 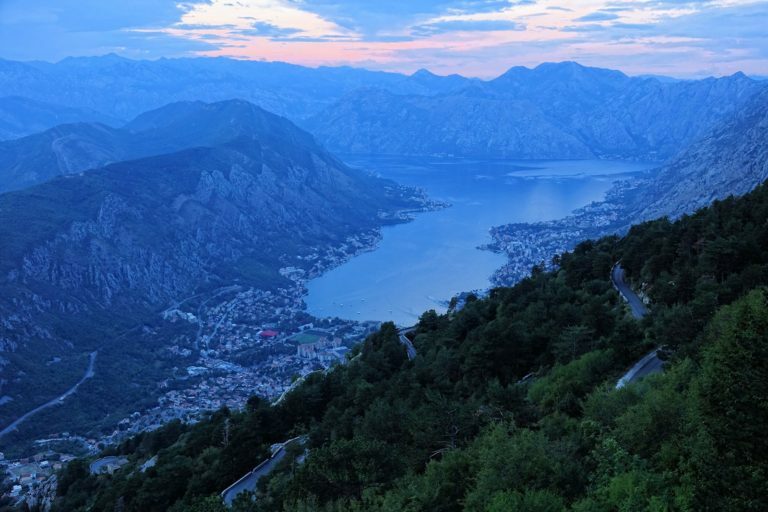 As the sun sets, we leave Kotor and drive up a ridiculous one-and-a-half lane mountain road full of hairpin turns. 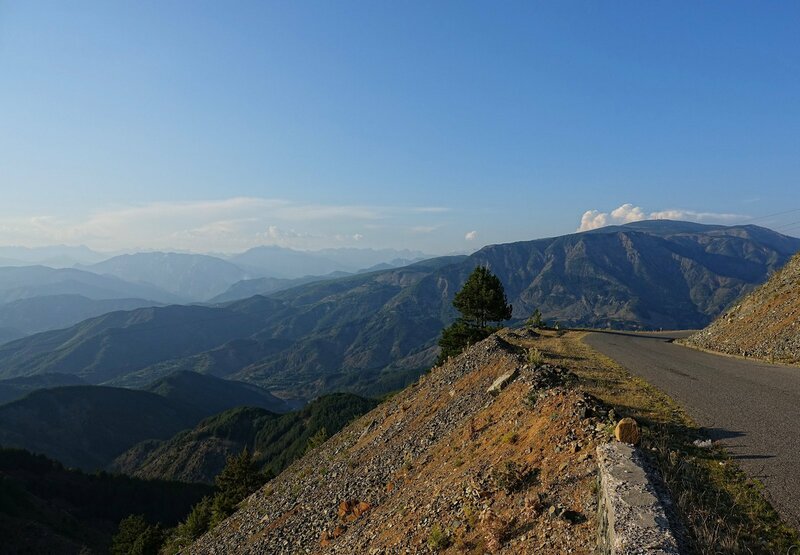 Only a few large rocks on the road’s edge potentially stop us from driving into thin air. The view improves with every turn. 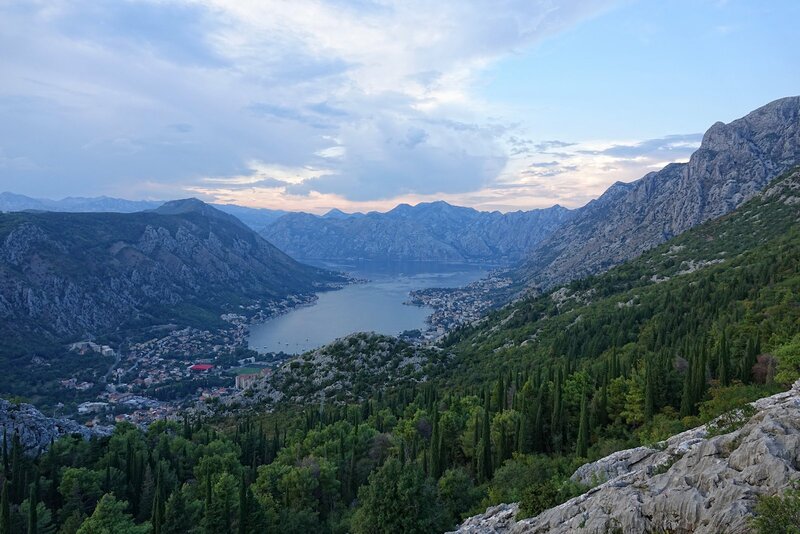 Unfortunately, the daylight is fading fast, so we can’t spend too long enjoying the sight of the Bay of Kotor. 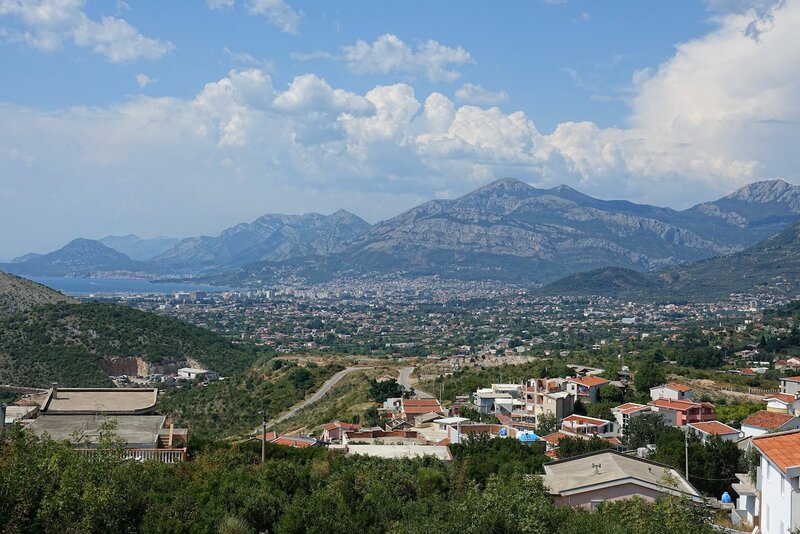 Instead we head inland, towards Podgorica, the capital of Montenegro. The drive from Kotor is only 80 kilometers. It takes more than 3 hours. And that’s without encountering any traffic accidents. Actually, we barely see another car until we arrive in the capital. 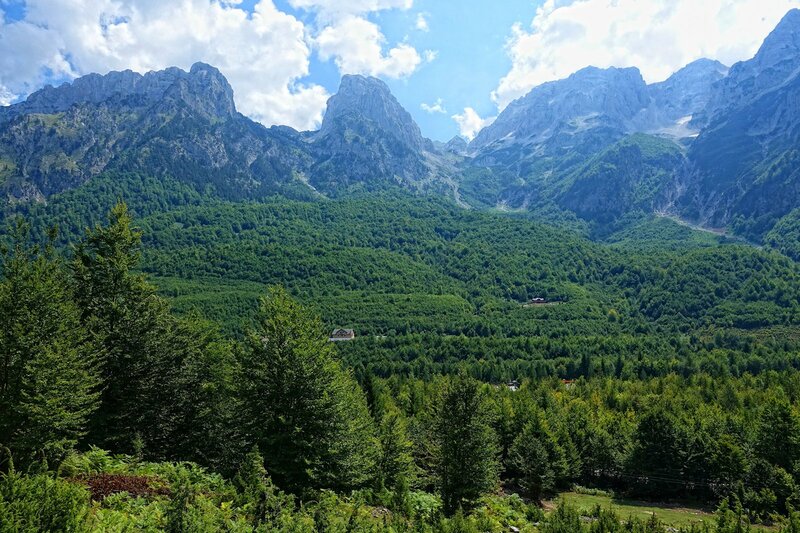 In the complicated quilt of religions and cultures in the Balkans, Montenegro is a primarily Orthodox Christian region. The Cathedral of the Resurrection of Christ is relatively new evidence of this. It’s sort of pretty, but the modern city is a bit boring to look at. It feels plenty lively, though. We see crowded sidewalk restaurants with well-dressed and happy women and men everywhere in the evening. Next morning, though, it is hot outside and Podgorica has turned very quiet. 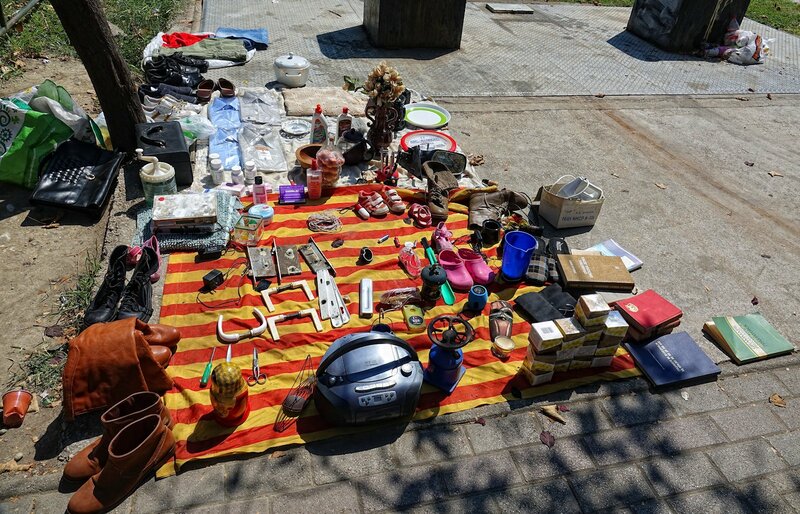 Podgorica is a green city with lots of shade, so we go for a quick walk through the center. It’s easy to get your bearings here. 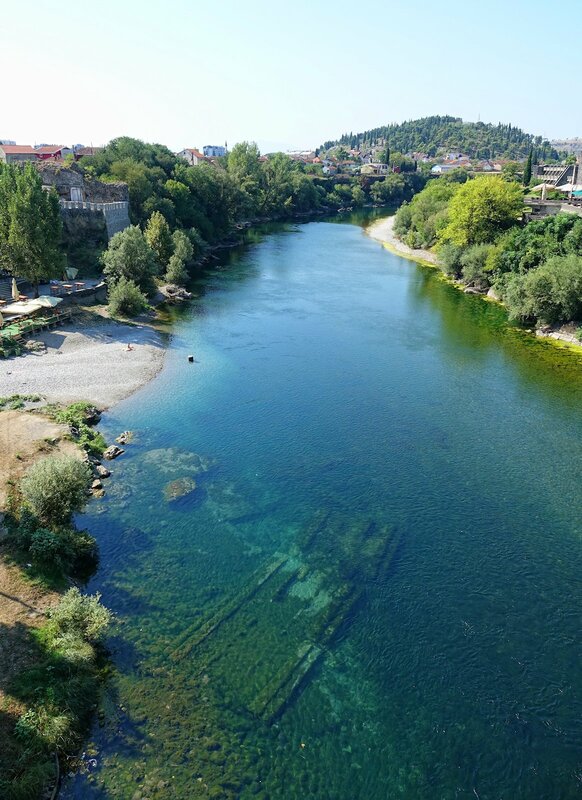 The river Morača separates the old town on the east side and the new town on the west side. I don’t know why there’s an old bridge resting in the river. Montenegro managed to mostly stay out of the regional wars in the 1990s, so this is probably from World War II. The street fashion of Podgorica is quite different from Tirana’s. People-watching here is great fun, mostly because of the clothes and shoes. Like in many places in Eastern Europe, it is impossible to tell whether some women are on their way to the grocery store or to a night club. There are a lot of severe make-up, high heels and tight dresses around, even in the middle of the day. Outside many shops we see young women standing around, smoking, fiddling with their mobiles and talking to the girl from the next shop over. It may be a world-wide thing to a certain degree, but former Communist countries take it to the highest levels, I find. 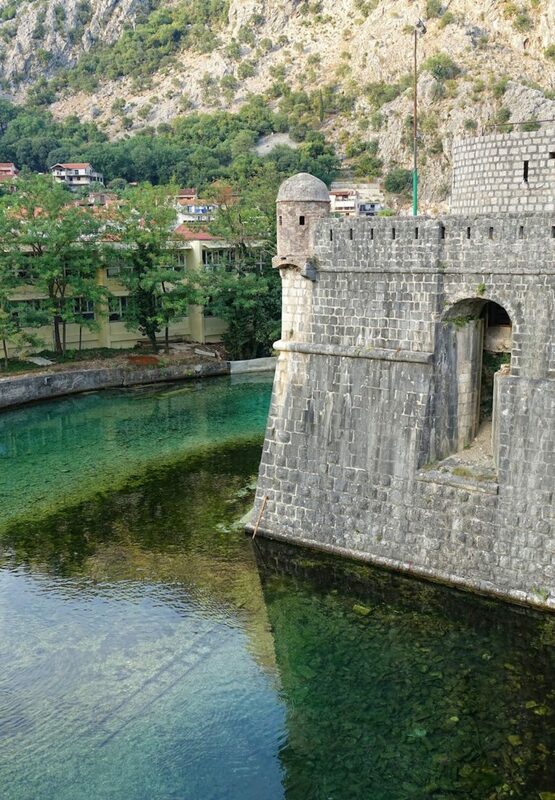 We decide that Podgorica isn’t a good reason for going to Montenegro. But we have heard nice things about the scenery in the north-eastern part of the country, so we drive off in that direction. Our goal is to somehow cross the border to Kosovo, although the Internet is wavering in its explanation of how this can be done. The shifting politics and all too permanent road quality in the area creates a lot of uncertainty. 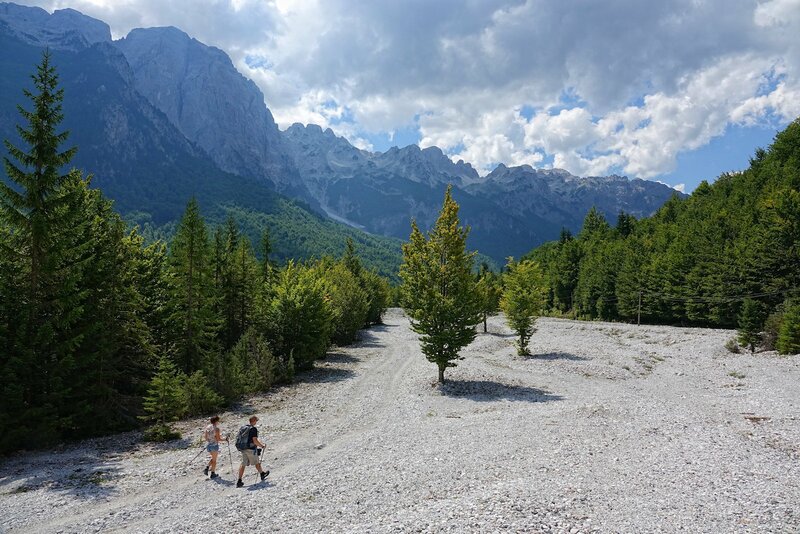 Half an hour up the valley dug out by the river Morača, we join a several kilometers long group of waiting vehicles. Encouraged by the splendid views, we decide to wait and see. An hour passes before we receive news from afar. There has been a serious accident, and the police will spend hours investigating and cleaning up the scene before anyone will be allowed through. By now we’re used to this kind of thing happening. 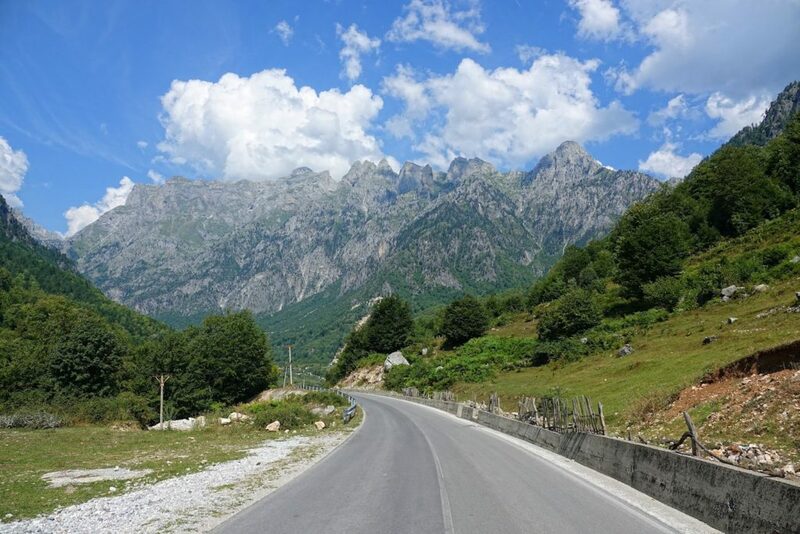 With a shrug, we turn around and drive back to Albania. Back in Shkodër, we now travel east instead of south. We want to visit the Accursed Mountains. and we soon discover that the mountains are well deserving of their name. Driving around here involves a lot of cursing. 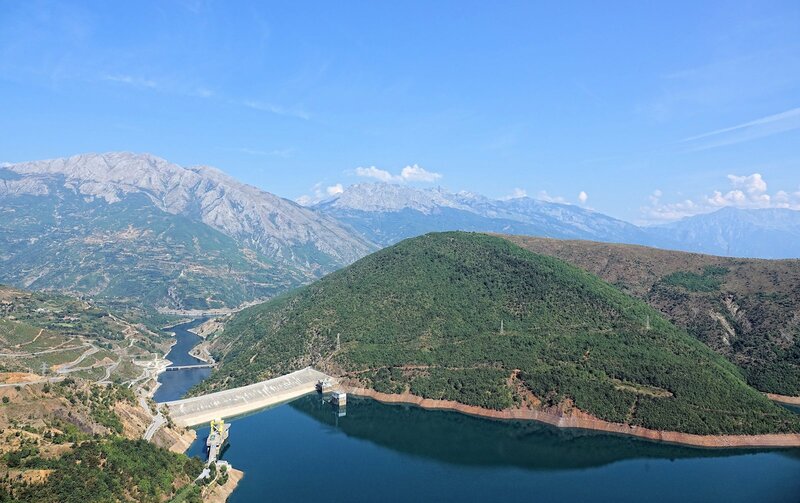 The only sane way to drive to Valbonë from here is to go on a ferry on Lake Koman. But we don’t know that yet. On an increasingly narrower and disheartening road, we start worrying ever so little. Partially because of the road, but also because we see no other cars. If we have an accident up here, we may be stuck for a while. There are not many villages up in these mountains, but they are at least aptly named. If you don’t get a bit queasy on these bendy roads, there’s something wrong with you. Puke turns out to be a surprisingly agreeable town. They’re clearly not making much money from tourists here, or from anything else, but both cats and people are friendly and eager to please us. Unfortunately, as the view just keeps getting better, the road turns terrible and requires all our attention. It’s been a while since we left Puke, and the next town is still far away according to our map. Unfortunately, we have long since reached the point of no return, and we’ll just have to continue driving, sloooowly, and hoping we’ll find a relatively comfortable place to spend the night. Preferably not in a burning wreck at the bottom of a cliff. 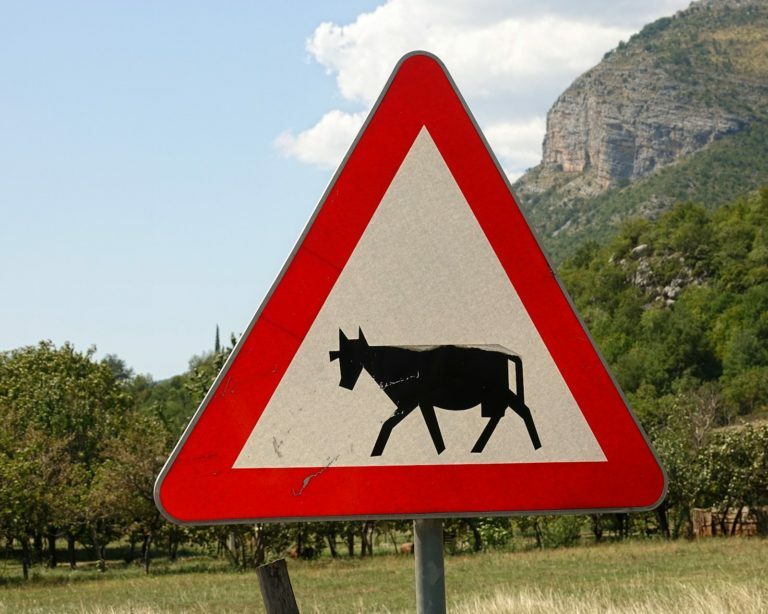 As if the road wasn’t bad enough, now we’re warned about dangerous cows as well! The cows in the Balkans are special cows; apparently a little bit pixellated, and not intimidated by cars at all. 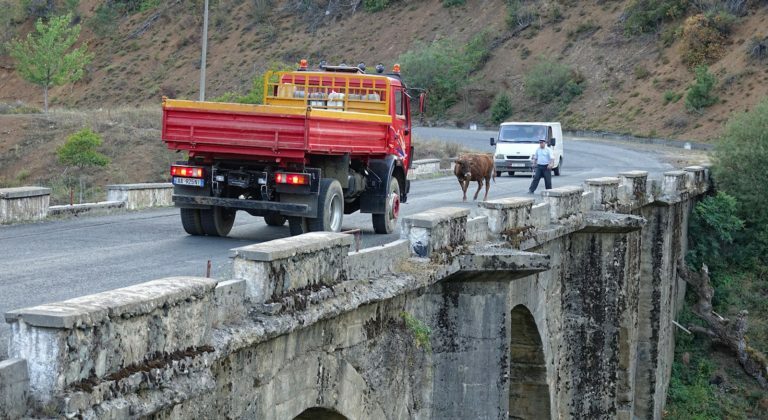 A perfectly normal traffic situation on road SH5, near the crossroads for Kukës and Iballe. No animals were harmed in the making of this situation. Cusswords were exchanged, though. Just as the last daylight disappears, this hotel (photographed the next morning) appears, out of nowhere. Hotel Alpin Dardhe Puke may not be the best hotel I’ve stayed at, but it’s the one I have been most happy to find. It’s a huge relief when we confirm that they have a vacant room. Actually, almost every room is vacant. Few tourists make it up here, but the Google Street View car has been here. So if you want to see for yourself what the road is like, have a look at SH22 north-east of Puke. Any random spot will do. Now imagine navigating that when it’s almost dark. The road isn’t any better when we wake up, but it’s a brand new day, and everything looks better in the morning. We still stay as far away as possible from the cliff side of the road. 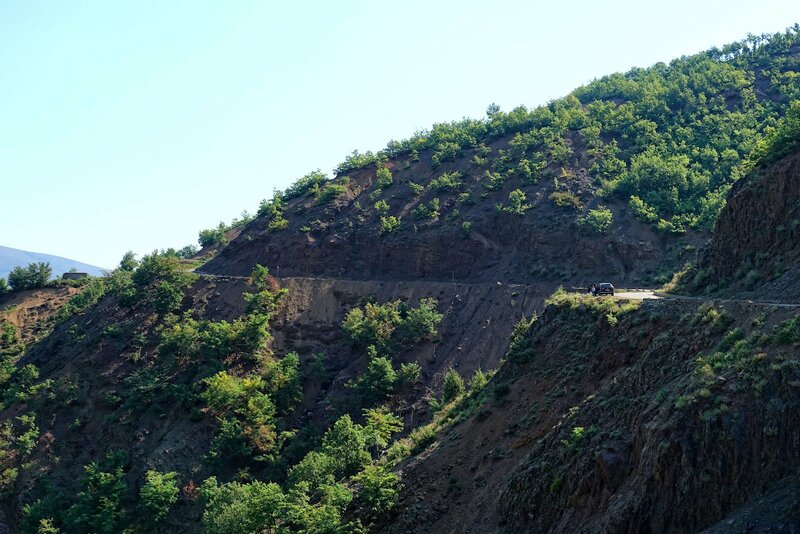 Some sections are more prone to landslides than others. Driving here during heavy rain would be nerve-racking. But now the sun is shining, and most of the road is roughly where it’s supposed to be. This view is an extremely welcome sight. It means that we’re about to leave the hellish part of our drive to Valbonë. We’re now approaching Fierza. This is where the ferry we could have taken us, saving us the wild drive. But then we would have missed this view, and we probably would not have been as grateful to be alive as we now are. So all in all, we’re happy. By the way, here’s our rental car. It’s a Dacia Duster. “Duster” translates to “Morons” in Norwegian, which we felt was quite appropriate. It did its job well, despite the many flashing warning lights on the dashboard. 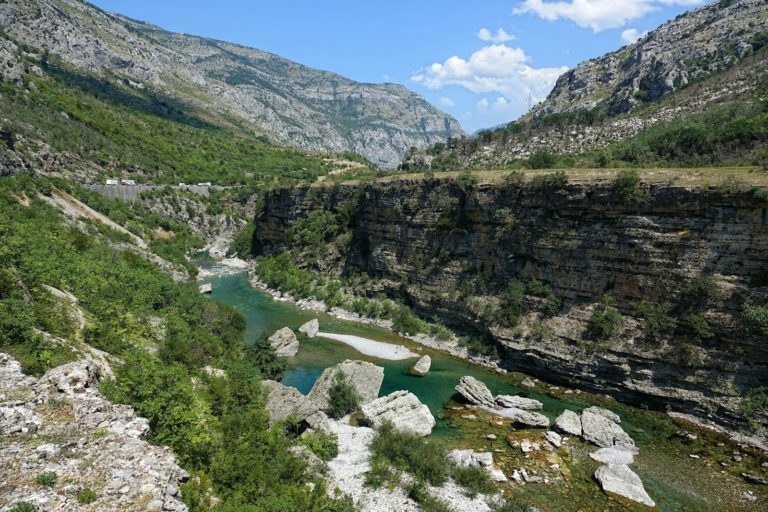 At last, we’re entering the Valbonë Valley National Park, and it’s glorious. It’s not large, but it packs a huge amount of world class scenery. 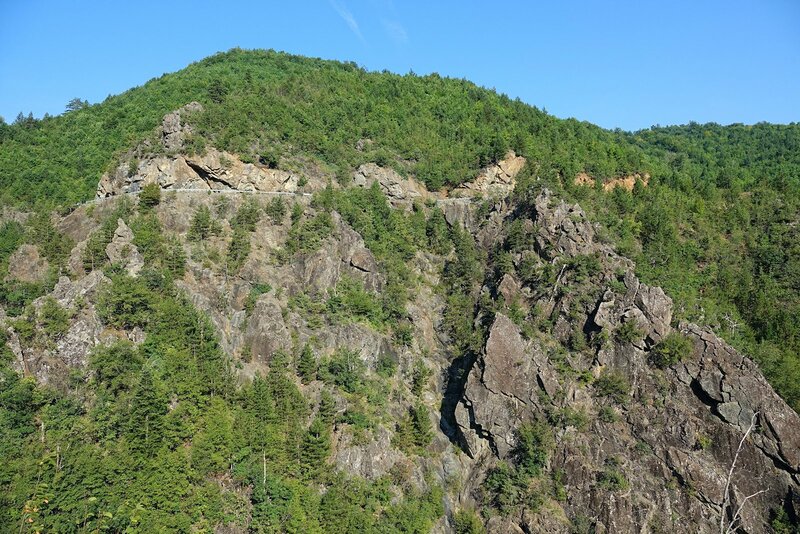 Within it you can find glaciers, brown bears, grey wolves, and much more. 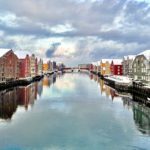 You may not have heard about it, but if you’re ever in the area, you should make it a priority to visit it. Just don’t drive here the way we just did. 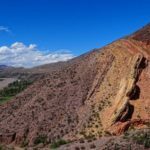 Hiking in Valbonë is as hard or easy as you want. You can just drive to the end of the road and pick a trail. Five minutes later you’ll be surrounded by scenery like this. If you want to, rent a room or a bed and stay for a few days in one of the cabins you see. The main trail follows a dry rocky riverbed. If you’re lazy, you can pay to be taken a few kilometers up the valley in a robust car. Don’t. It’s an easy walk. The most popular hike from here is to ascend the Valbonë pass and go across to the village Theth on the other side. From there you can catch a minibus to Shkodër and civilization. That’s a relatively easy one-day hike. We, however, have to return to our car and go elsewhere. If anyone tells you that swimming in Albania is so nice and warm, they probably didn’t do it here. 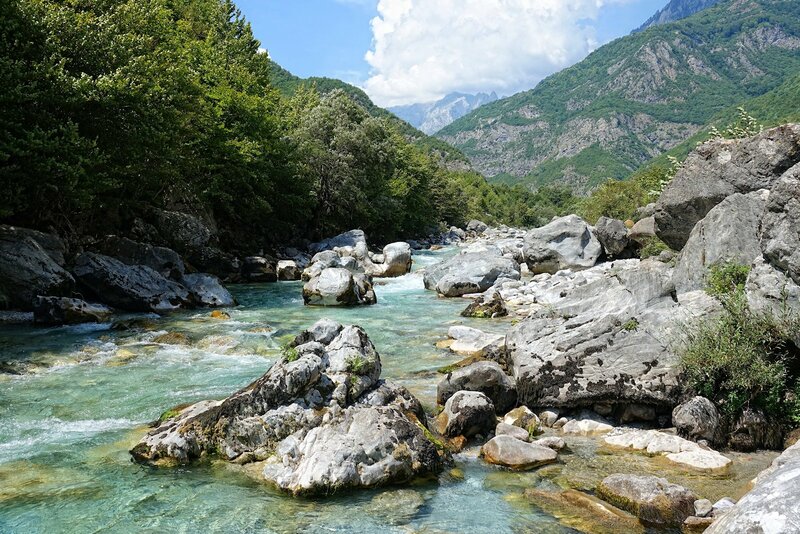 The water in Valbonë Valley is of the crystal clear and cold variety. On a hot day, and after a tough hike, it’s perfect. Our will to live has returned, so driving back on the SH22 is not an option. Instead we drive into Kosovo, a country on its own, yet still claimed by Serbia as part of Serbia. It’s complicated. If we just stay away from the border between Serbia and Kosovo, traveling in and out of the country is no problem. But we see many traces of the troubled recent history of the country. 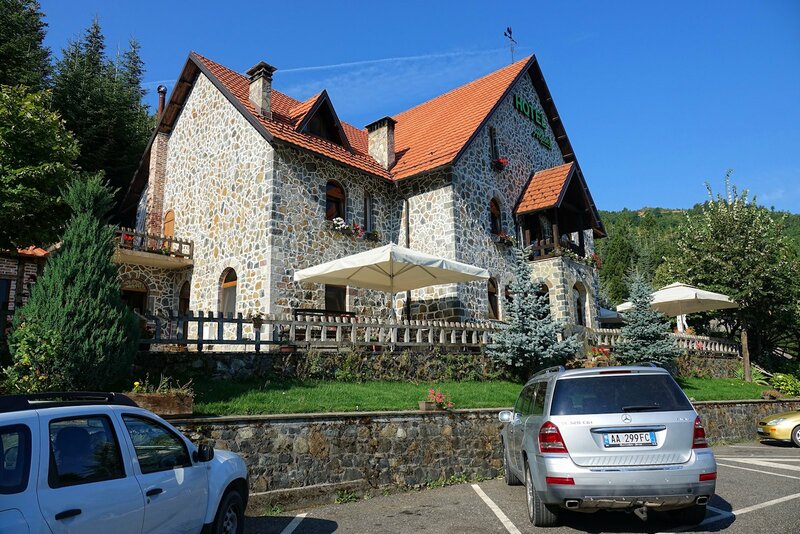 Like here, in Korenica. 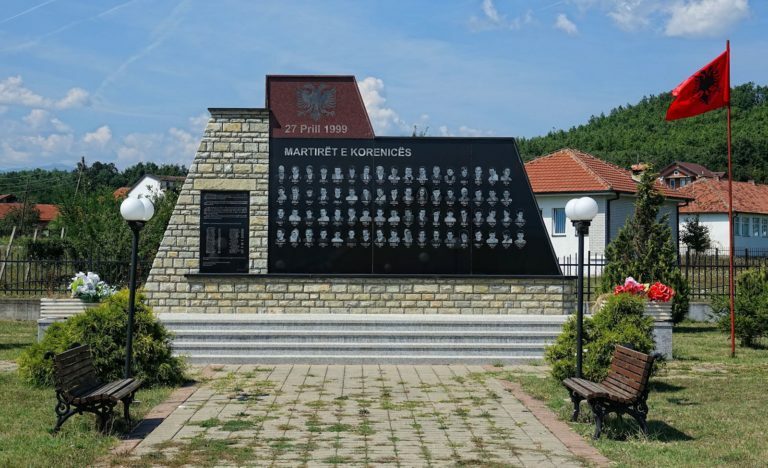 Their martyrs are remembered, as the country is healing after the 1998-1999 war. 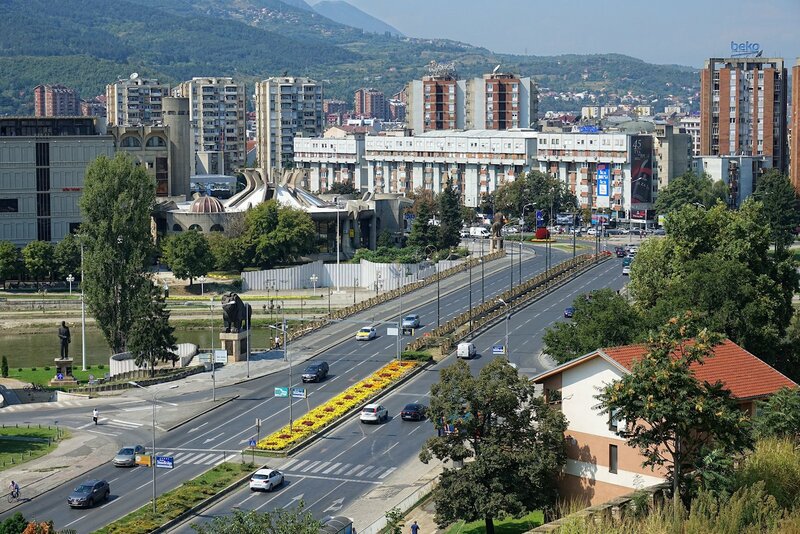 We drive straight to Prishtina, the capital of Kosovo. On Bulevardi Bill Klinton we find, of all possible things, a metallic smiling and waving Bill Clinton. This is a gift from the Albanians of Kosovo. After Serbian military conducted several massacres against Albanians here, NATO started a series of bombing raids against Serbia. It eventually forced them into moving all their military forces out of Kosovo. Bill Clinton played a key role in making that happen, but it’s still a bit weird to see this monument. After meeting Bill, we see little reason to hang around in Prishtina much longer. Before leaving, we find a geocache. 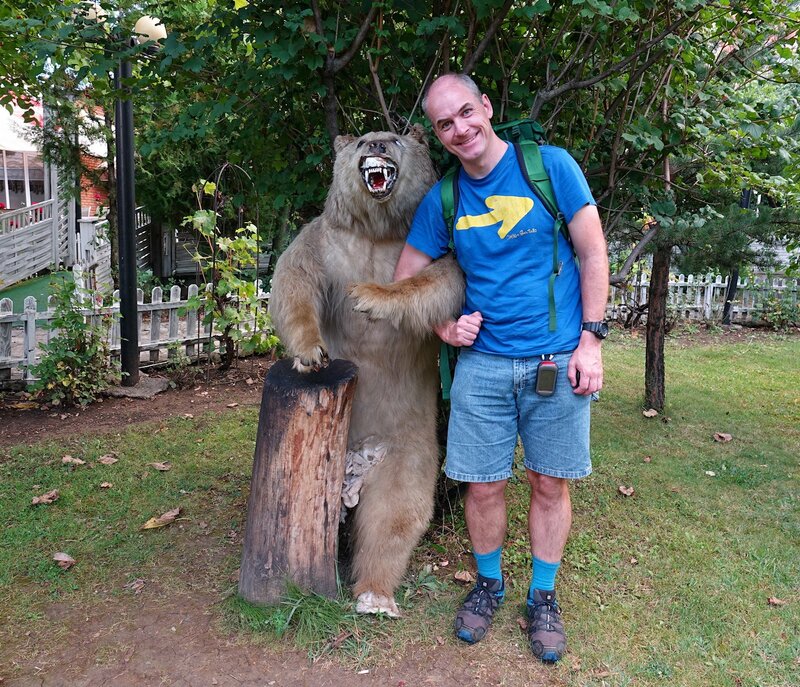 While doing so, I meet another bear outside a restaurant. It’s not in perfect shape (in fairness, neither am I), but it’s good to see that the cage where they used to keep live bears has been dismantled and replaced with a stuffed animal. It still looks miserable, especially in the groin are, but it’s a huge improvement. Another border crossing brings us to Macedonia. Less than two hours after leaving Prishtina, we’re in another capital, Skopje. It’s a pleasant surprise. 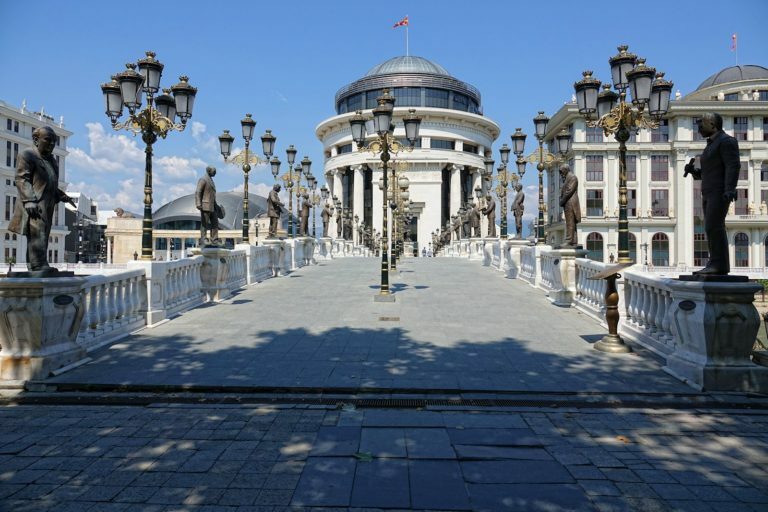 Macedonia managed to stay out of the Balkan hostilities, so Skopje has a well-preserved old town and lots of fascinating new buildings. 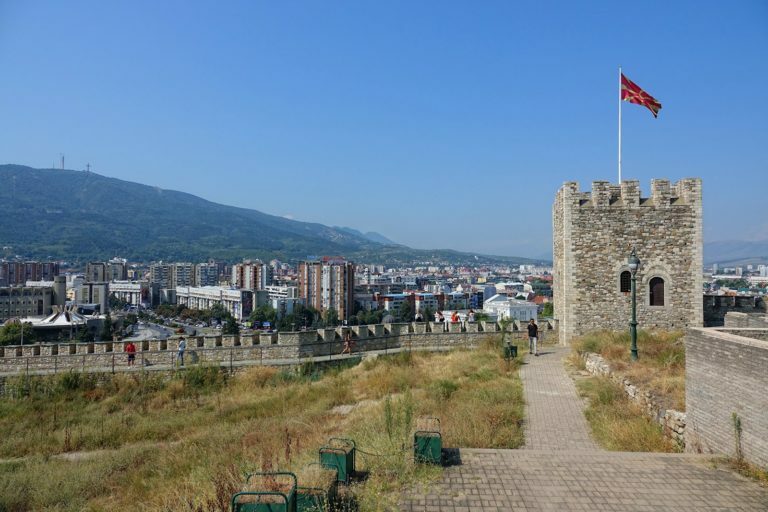 The Skopje Fortress is a great place to get an overview of the city. 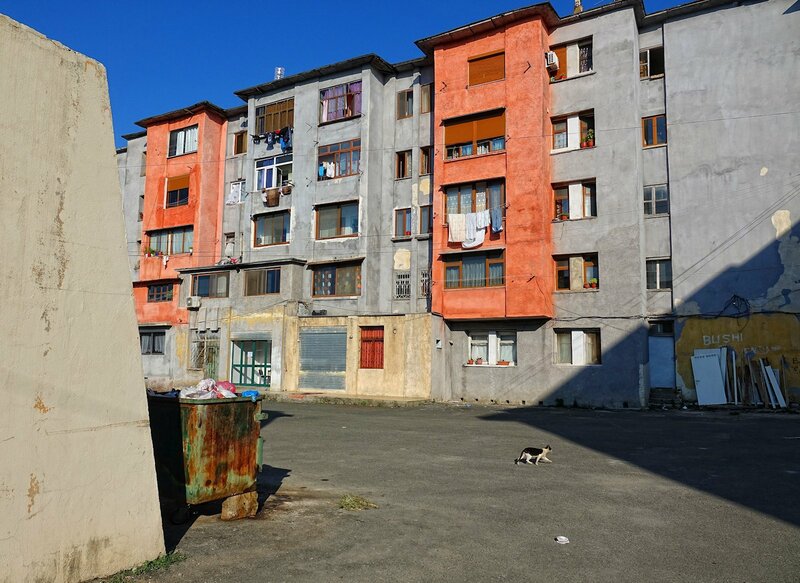 Skopje is nice and tidy. Here’s Goce Delchev Boulevard and some modern metal lions guarding the bridge across the Vardar River. The funky circus building on the other side is actually the Macedonian Post Head Office. Because that’s how they roll here. The cityscape of Skopje is anything but predictable and boring. I love the random rarities we often find. 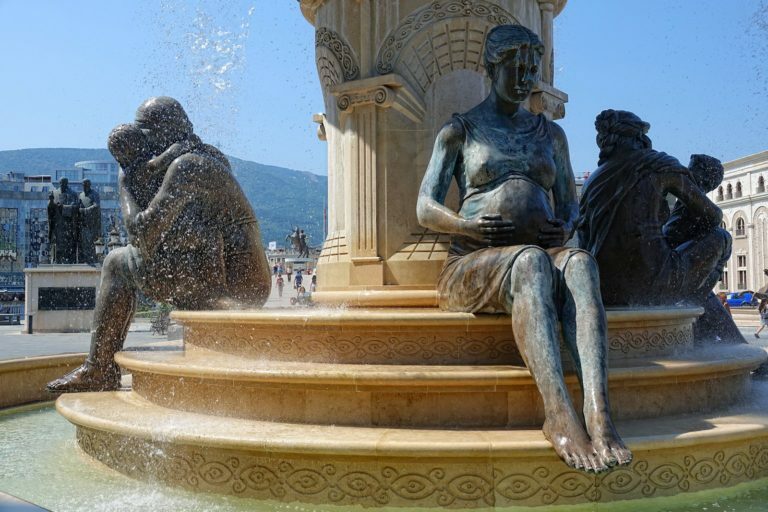 I don’t know if this pregnant statue explains anything, but the fact of the matter is that Skopje is unusually full of statues. Which is fine, because most of them are nice to look at. One of many lions on Macedonia Square, right in the middle of downtown Skopje. Their flag is nice and sunny, just like this day. 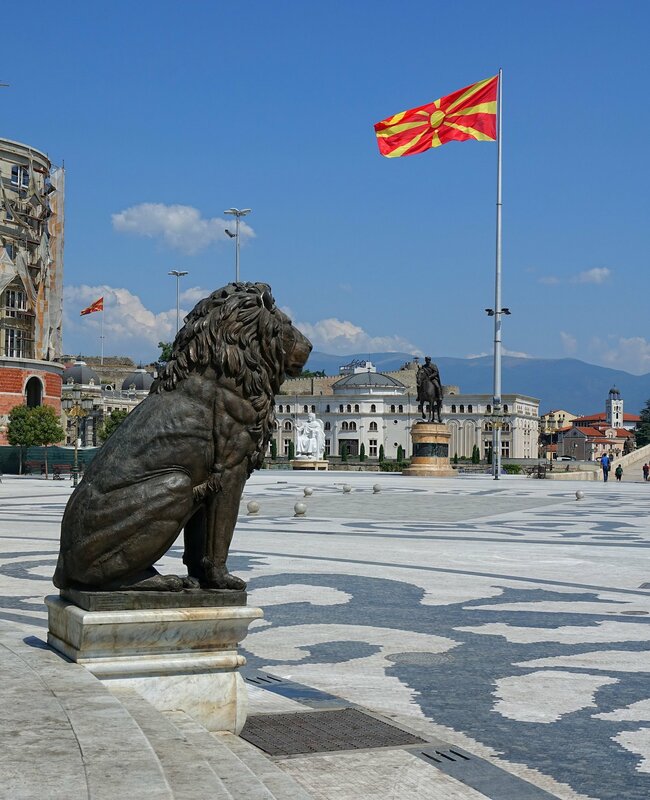 The lion is a bit of a symbol of Macedonia. The connection is ancient, as there have been no wild lions around here for the last two thousand years or so. Mother Teresa is another fighter, in a different way, that Macedonia is rightly proud of. The Nobel Peace Prize laureate dedicated her life to helping people that live in poverty, and she was a remarkable woman. She was born in Skopje, and her face and name appears often in the streets there. 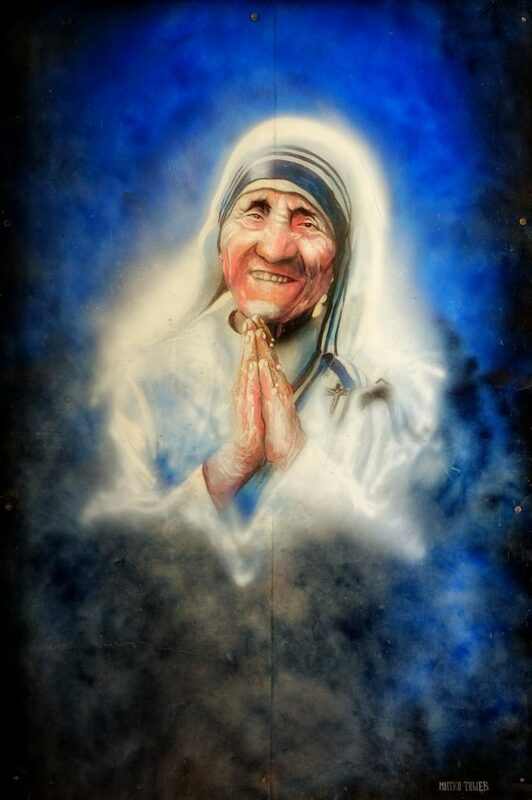 If Mother Teresa had still been with us, there would have been work for her in Skopje. There are still poor people here, and it is heartbreaking to see old women sit in the streets and sell whatever random items they have. Much of it is trash more than anything, but you sell what you can. This sums up well the modern center of Skopje; lots of statues and new stylish buildings. The Art Bridge has 29 sculptures, and beyond it you’ll find the Foreign Ministry, the Office of the Public Prosecutor, Mother Teresa Square (told you! ), the Opera House, the Museum of Archaelogy, and lots of other things you expect from a capital. Only probably you would not expect them all to be brand new, especially in the capital of a country with just two million citizens. It’s impressive, and that’s all I have to say about that. I just hope they haven’t ruined themselves financially for generations to make this happen. The national animals of Macedonia are the lion, the lynx and the trout(! 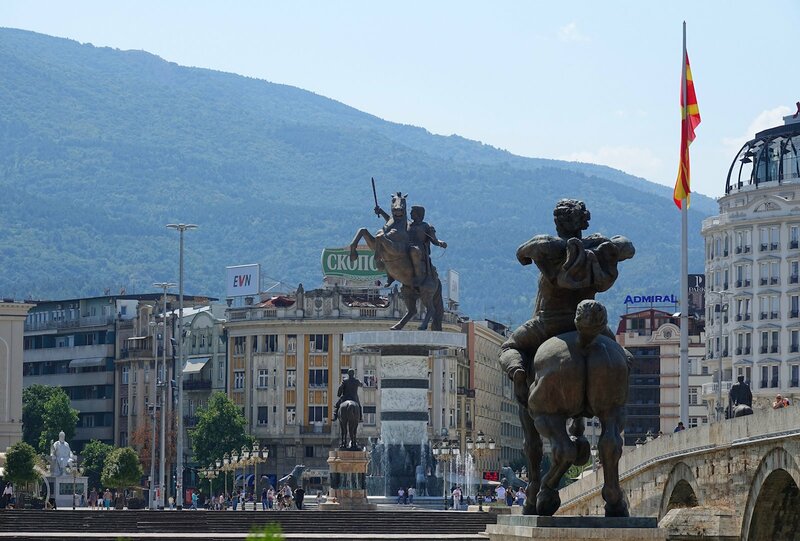 ), but judging from Macedonia Square, it’s clear that the horse must also be a favorite. There’s a national hero on a horse wherever you turn here. And the largest of them all is of course Alexander the Great. Alexander is a huge national hero of Greece, so this giant statue of him in Skopje irritates the Greek a lot. Incidentally, Macedonia is also the name of a region in northern Greece, and Greece is worried that Macedonian Macedonia eventually will want to add that part of Greece to their country. Macedonia has sort of hijacked Alexander, who was the king of Macedonia. The only problem is that ancient Macedonia, made mighty by Alexander, only slightly overlaps with present day Macedonia. Anyway, by trying to own Alexander, modern Macedonia can easier defend calling themselves Macedonia. Right now it looks as if the current country Macedonia has agreed to rebrand itself as North Macedonia. Greece requires this of them, and as part of the deal, Greece will stop blocking (North) Macedonia from becoming a member of NATO and the EU. 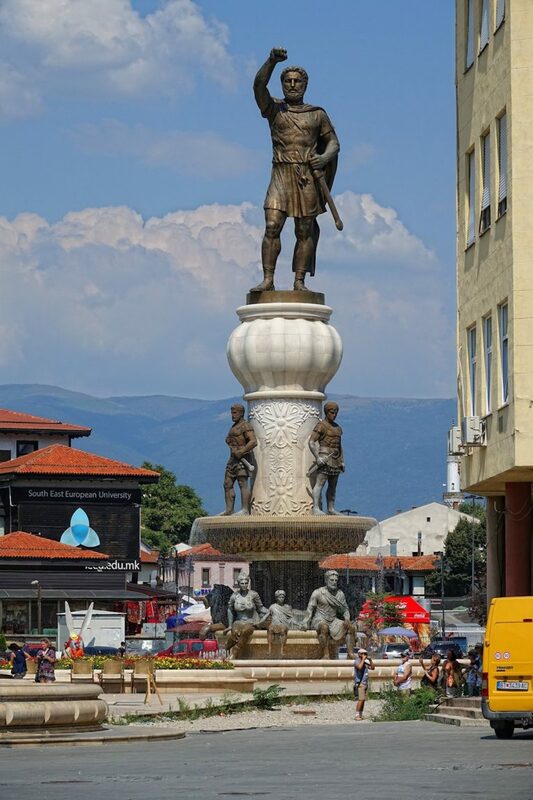 The North Macedonians may also graciously rename the statue of Alexander to simply “Man on horse” instead. At the opposite end of the square we find another giant. This is Philip II of Macedonia, Alexander’s father. Again, the Greeks aren’t thrilled y having another one of their ancient kings standing around in Skopje, at the very outskirts of the ancient Macedonia. 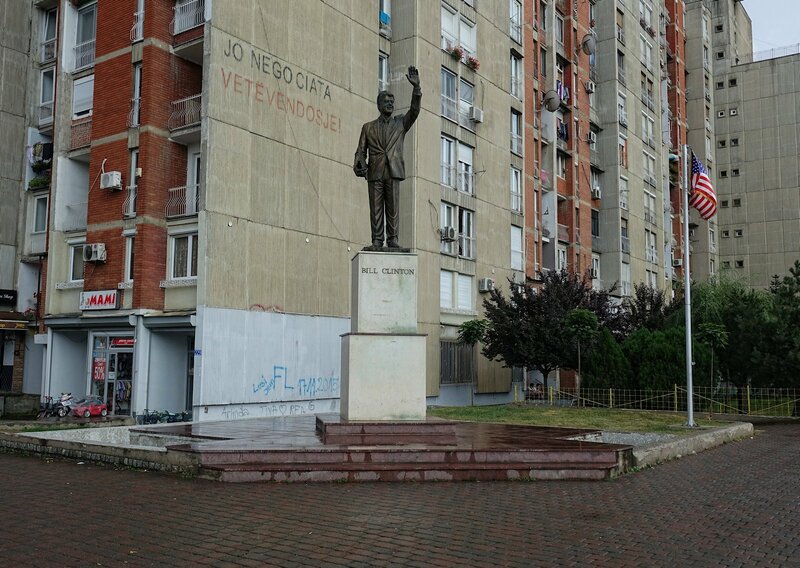 Maybe the North Macedonians eventually gracefully will rename this one “Man waving his fist”. Right behind Philip, the Old Bazaar begins. This part of Skopje has a distinct oriental feel to it. We see mosques, hammams and caravanserais. It’s like walking around in the older parts of Istanbul. This is no coincidence. 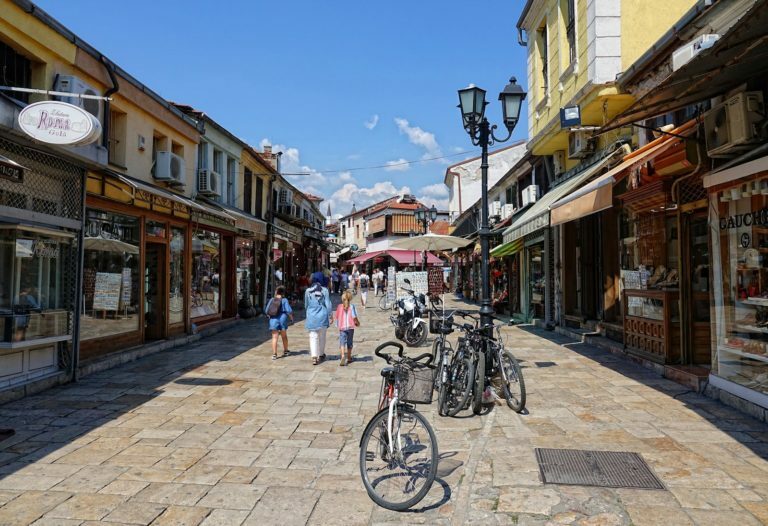 The city was run by Ottoman Turks for hundreds of years, during which Skopje thrived as a trading center. Some of the buildings here are more than 500 years old, many in excellent condition. We have a plane to catch in Tirana, so we have to leave Skopje long before we’re ready to. To see some more of Macedonia on our way, we pick a route to Albania via Lake Ohrid. 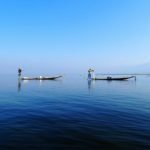 Thanks to its unusual depth, this lake is about five million years old. That is almost five million years older than most lakes get to be. There are lots of endemic species here because of that, but the only living creatures we see are the many people enjoying themselves on the pretty beaches here. It’s a hot day, and this dog owner chooses to combine bathing and taking his best friend for a walk. Gotta love that dog poop container. 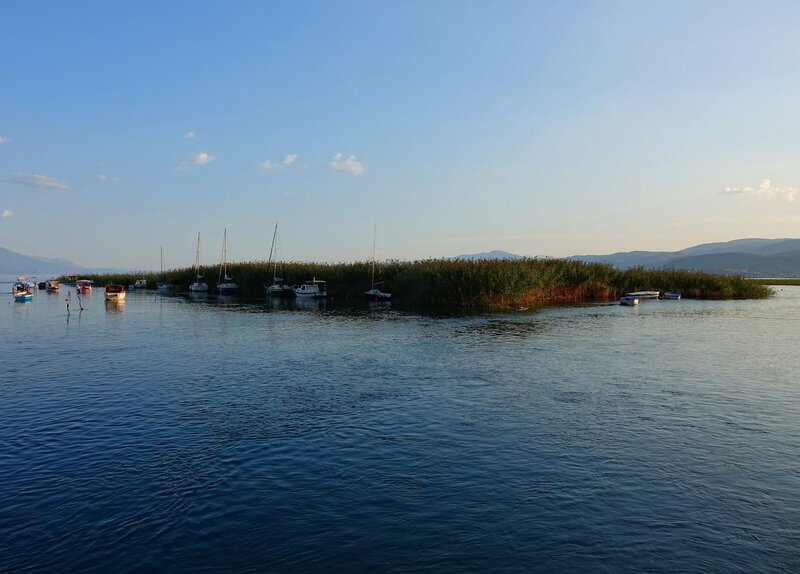 There’s a wonderful atmosphere on the beach in Struga at the end of the day. 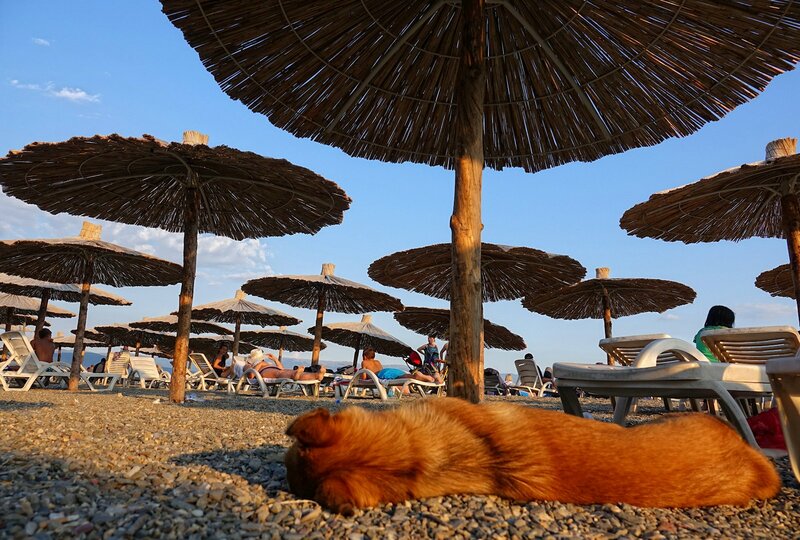 People from all over the Balkans, and farther away, are perfectly able to happily enjoy a summer evening in peace. This dog inspires us. 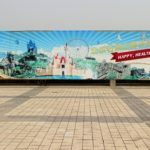 We drive straight back to the Albanian beach town of Durrës, where we spend a day relaxing and thinking about all the places we have seen, before it’s time to return to Norway. It’s been a great trip. I hope you enjoyed it, too. The only fast way to see the Balkans is by renting a car. 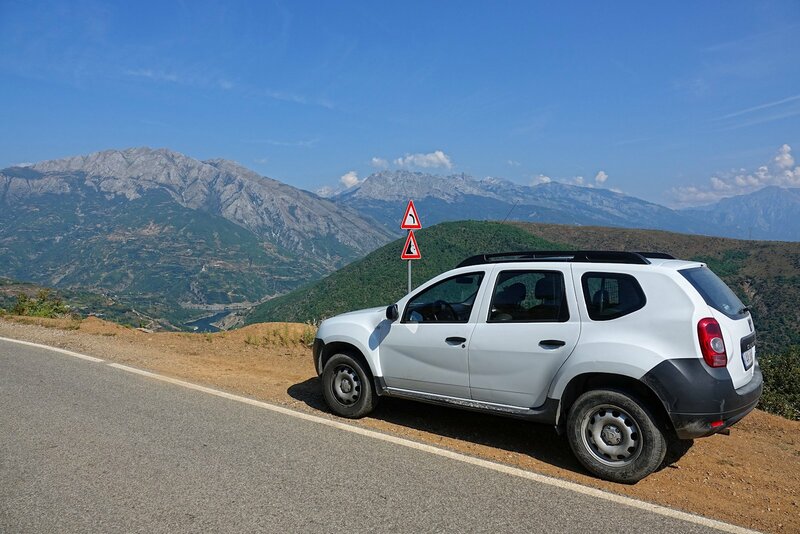 The only good way to see the Balkans, however, is by traveling slowly, and to have your transportation handled by professionals. At least until they introduce the concept of driver’s licenses in these countries. I have no idea when that will happen. Unfortunately there are no signs of it happening for a while still.